COSSA has released the 2017 edition of its state funding fact sheets with a new look. 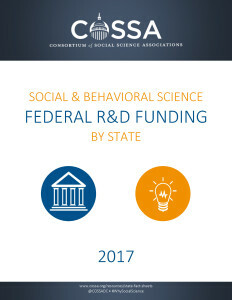 These one-pagers showcase the amount of federal social science research funding that goes to each state, and includes information on the leading recipient institutions and sources of funding. The fact sheets are helpful for articulating to policy makers the local economic impact of social science research funding. 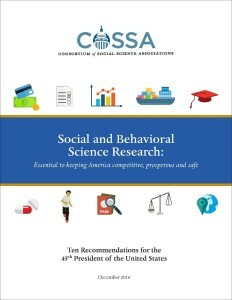 The fact sheets are available on the COSSA website at https://www.cossa.org/resources/state-fact-sheets. On December 16, President-elect Donald Trump nominated Congressman Mick Mulvaney (R-SC) to serve as the Director of the Office of Management and Budget (OMB) in the Trump Administration. 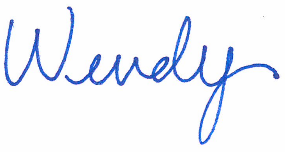 Mulvaney made a name for himself during his three terms in the House as an outspoken opponent of government spending. OMB serves as the implementation and enforcement arm of Presidential policy through budget development, oversight of agency performance, legislative coordination, and oversight of executive orders. If confirmed by the Senate, Mulvaney will have broad responsibilities implementing President-elect Trump’s agenda, including a central role in health care and tax policy changes, as well as the repeal of government regulations. The Census Bureau announced the establishment of a Census Bureau 2020 Advisory Committee, which will provide expertise and advice to Bureau leadership on matters related to the planning and implementation of the 2020 decennial census. The Bureau is seeking nominations to fill the 25-member Committee, particularly candidates with expertise related to “diverse populations; national, state, local and tribal interest; hard-to-count populations; research; community-based organizations; academia; business interests; marketing and media industries; and professional associations.” More information is available in the Federal Register notice. Nominations must be submitted by January 19, 2017.